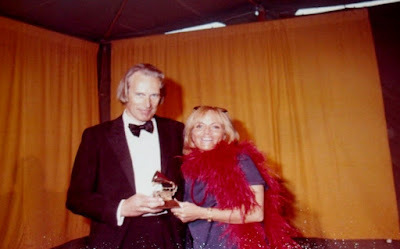 From the 1970's look of this photograph, I would say that this has been from when George Martin won the award for Beatles Instrumental Arrangement in 1974 for "Live and Let Die." George Martin won 8 Grammy awards in his life---and he should have won many more. He won his first one in 1968 for Sgt. Pepper.